2,5% inflasjonsmål, 4% avkastning oljefondet og alt som følger. En økonomiblogg for innovativ og obskur lesing. This is a network visualization of the network of tweets and retweets with the hashtag #jan25 at February 11 2011, just before and after the announcement of Mubarak’s resignation. It is based on about an hour of data collection by André Panisson. You can see an explosion of retweets right when the vice-president announces Mubarrak’s resignation. See here for more detail on the data collection and access to the data set. 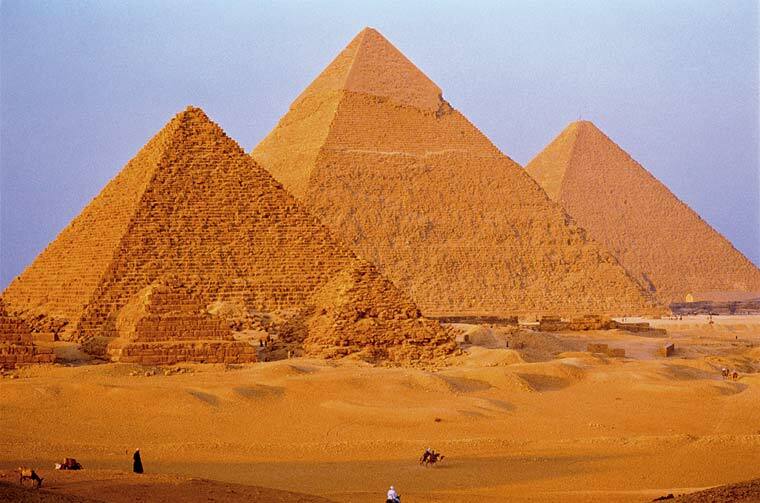 Hvordan det begynte i Egypt over 18 dager siden, via Marc Lynch. Via Marc Lynch’s Twitter Feed, this Wall Street Journal article on the spark for the Tahrir Square protests is very interesting indeed. In early January, this core of planners decided they would try to replicate the accomplishments of the protesters in Tunisia who ultimately ousted President Zine al-Abidine Ben Ali. Their immediate concern was how to foil the Ministry of Interior, whose legions of riot police had contained and quashed protests for years. The police were expert at preventing demonstrations from growing or moving through the streets, and at keeping ordinary Egyptians away. … They chose 20 protest sites, usually connected to mosques, in densely populated working-class neighborhoods around Cairo. They hoped that such a large number of scattered rallies would strain security forces, draw larger numbers and increase the likelihood that some protesters would be able to break out and link up in Tahrir Square. … They announced the sites of the demonstrations on the Internet and called for protests to begin at each one after prayers at about 2 p.m. They sent small teams to do reconnaissance on the secret 21st site. It was the Bulaq al-Dakrour neighborhood’s Hayiss Sweet Shop, whose storefront and tiled sidewalk plaza–meant to accommodate outdoor tables in warmer months–would make an easy-to-find rallying point in an otherwise tangled neighborhood no different from countless others around the city. … The plotters say they knew that the demonstrations’ success would depend on the participation of ordinary Egyptians in working-class districts like this one, where the Internet and Facebook aren’t as widely used. They distributed fliers around the city in the days leading up to the demonstration, concentrating efforts on Bulaq al-Dakrour. ‘It gave people the idea that a revolution would start on Jan. 25,’ Mr. Kamel said. … On Jan. 25, security forces predictably deployed by the thousands at each of the announced demonstration sites. …In these small groups, the protesters advanced toward the Hayiss Sweet Shop, massing into a crowd of 300 demonstrators free from police control. The lack of security prompted neighborhood residents to stream by the hundreds out of the neighborhood’s cramped alleyways, swelling the crowd into the thousands, say sweet-shop employees who watched the scene unfold. At 1:15 p.m., they began marching toward downtown Cairo. If this is accurate (and the journalists seem to have gotten good interviews), it suggests several things. First – that the contagion effect fromTunisia was key, as most of us suspected (al Jazeera was likely very important). Second, that while new media played a role, low-tech means (distribution of leaflets) were used to get the message out to non-technically inclined Egyptians, whose participation was likely crucial in generating a snowball effect (see Lohmann, passim on how important it is that bystanders see protesters who look like them). Third, that fooling the police so that the protest could gather critical mass before they cracked down on it, was crucial. Fourth, that politically salient places (mosques; an easily recognizable sweetshop where people regularly congregated outside) played an important role in galvanizing protest. All very interesting. Egypt fra datasett. Vekst, fattigdom og stabilitet. Litt mer informasjon: Inflasjon (et tegn på makroøkonomisk stbilitet) falt fra nesten 20% i 1991 til rundt 5% i 2005, men har vært volital siden. Skoledekning for barn har økt fra under 90% til nærmere 100% på to tiår. Spørsmål: Hvilken av linjene i grafen overfor er av spesiell interesse, ang. opprøret i Egypt? NRK har fått laget ett interaktivt kart over de arabiske landene i Midøsten og Nord-Afrika. Interessant lesing med tanke på de siste ukers hendelser. Kartet gir info om: innbyggertall, BNP per innbygger, arbeidsledighet og korrupsjonsindeks, samt styresett og statsleder. Utviklingen i matvareprisene er også inkludert, noe som har vært en bakenforliggende faktor i opprøret som ble startet i Tunisia og som nå truer med å spre seg til andre totalitære regimer. Står Egypts president Hosni Mubarak for fall? Hva gjør man med høy inflasjon og høy ledighet? Dagens graf: Hvem eier hvor mye av amerikansk gjeld, en oppdatert graf.